Make your world a quieter place with the light spray of the new PetSafe® Spray Bark Collar. 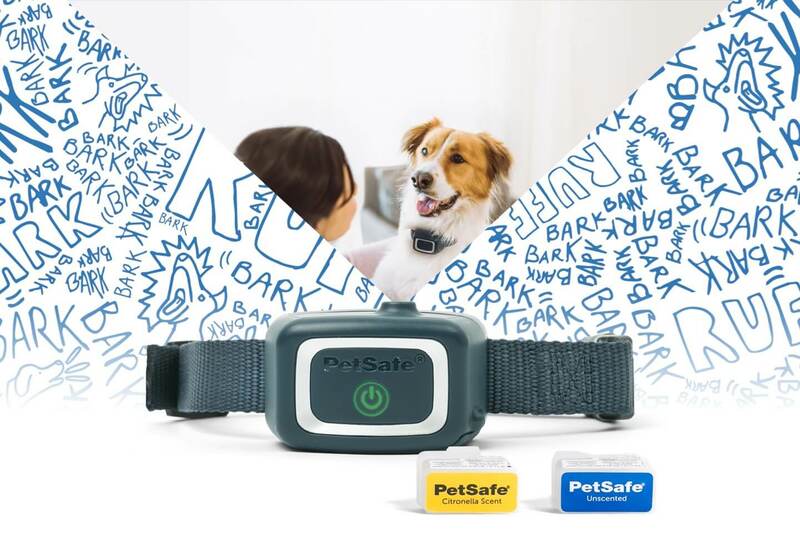 This collar uses the most advanced technology to help stop your dog’s unwanted barking and whining with a light citronella or unscented spray. Leave it to PetSafe® to make bark training a safe and simple process for you and your dog. 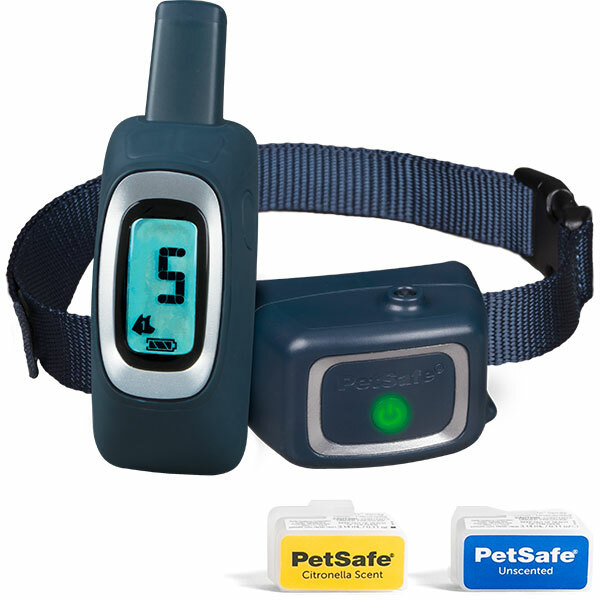 The PetSafe® Spray Bark Collar uses a light citronella or unscented spray to kindly remind your dog when it’s time to be quiet. New recyclable spray refill cartridges are easy to use and simple to replace. Advanced bark detection technology ensures your dog will never receive an accidental spray, even when other dogs bark. The Spray Bark Collar is designed to fit any dog 8 lbs. and up. Every Spray Bark Collar comes with a USB charger for recharging as well as an average battery life of 40 hours depending on use. The Spray Bark Collar is water-resistant, so you can take it practically anywhere. The PetSafe® Remote Spray Trainer is designed to help train your dog with the click of a button. So whether you’re training your dog to keep his paws to himself during an off-leash walk or working on simple commands around the house, you’ll always be in complete control. The Remote Spray Trainer uses the same light citronella or unscented spray to correct many unwanted dog behavior. This training option delivers a single-volume sound to train and can be used in combination with spray or vibration. This training option delivers a moderate vibration to train and can also be used in combination with spray or tone. A wide remote range gives you the flexibility to train in close quarters at home or while training at long distances.